A Middlebury College alum, Channing B. Murdock's early ski industry experience came while working for Walt Schoenknecht at Mount Snow, VT and Mohawk Mountain. By the time the 1960-61 season started, Murdock was manager of Mohawk Mountain. In 1962, Channing and his wife Jane purchased the defunct G-Bar-S Ranch facility. After carefully cutting trails and purchasing a new chairlift, the area opened as Butternut Basin for the 1963-64 season. The area was virtually an instant success, resulting in multiple lift installations throughout the rest of the decade. During the late 1960s, nearby Satan's Ridge ski area in Connecticut went out of business. Murdock purchased the area and reopened it as Ski Sundown for the 1969-70 season. After a few seasons, Murdock sold the area to General Manager Rick Carter. 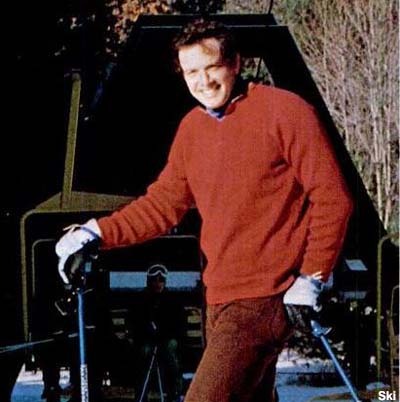 An energetic and well liked figure, Murdock was president of Eastern Ski Area Operators Association, president of Massachusetts Ski Areas Association, founder and president of New England Ski Areas Council, and founder of the Massachusetts Tramway Board. When competitor Mohawk Mountain in Connecticut was devastated by a tornado in 1989, Murdock was a driving force in helping with the recovery effort. For 1993-94, Butternut upgraded its summit lift to a quad, the first in Massachusetts. The following June, Murdock was severely injured in a bike accident. While he would survive the serious injuries, he would never recover to the point of being able to return to the ski area in any capacity. Murdock's son, Jef, would take over the management of the ski area.